Juanvi was selected by the University of Zaragoza to participate in the V Jornadas Doctorales G-9 (Palma de Mallorca, del 8 al 10 de febrero de 2017). He presented there, his doctorate topic: SQUARAMIDES. Juanvi giving his talk about SQUARAMIDES in the “V Jornadas Doctorales G-9”. 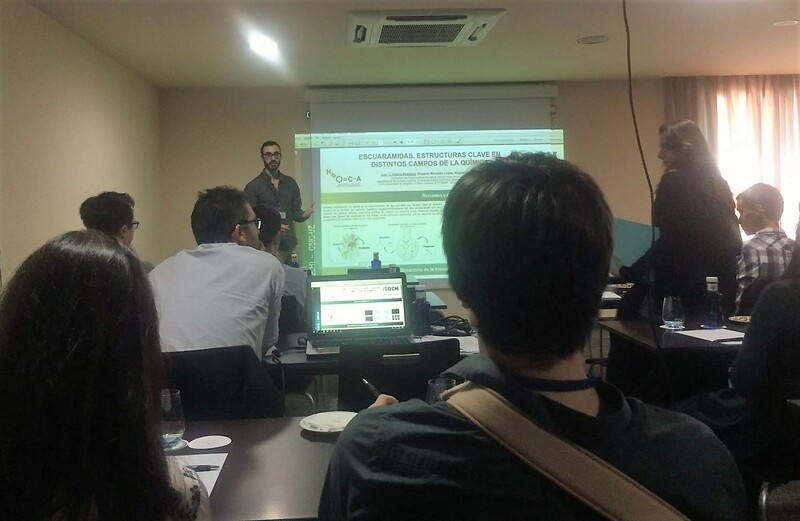 This entry was posted in Conference, Doctorate, Meeting, Squaramide and tagged 2017, Asymmetric organocatalysis, Conference, Juan V. Alegre-Requena, Palma de Mallorca, Poster, Squaramide, Symposium, University of Zaragoza, V Jornadas Doctorales G-9. Bookmark the permalink.